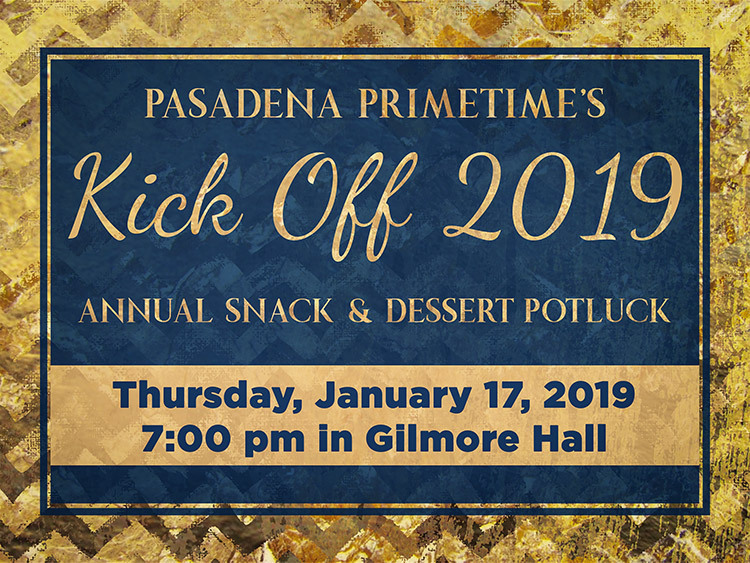 It’s time again for the Annual Snack & Dessert Potluck on Thursday, January 17, at 7:00 pm in Gilmore Hall. If you’re age 55 or better, come hear about all the upcoming PrimeTime activities, day trips, and tours for 2019. Invite a friend for a fun-filled evening and remember to bring a snack or dessert to share. Please sign up at the Welcome Center on Sundays or contact Pastor Darwin Ng at 626.351.2461 or dng@paznaz.org to RSVP.